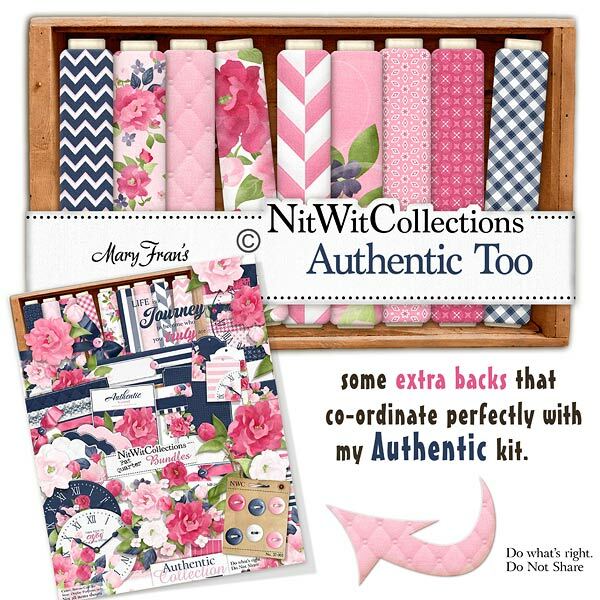 "Authentic" Too digital paper pack brings even more creative options to this digital scrapbooking and card making kit! If you enjoy this kit as much as we do, you will want to create many, many items with it and we don't want them to look the same, now do we? !ha,ha These background papers are NOT included in the FQB "Authentic" Collection, so please don't miss out! 18 Digital background papers that coordinate and colour match my FQB "Authentic" Collection.